Many were pissed at some of the calls made during the women's hockey game that happened last night. While the results of the game were disappointing for Canada, there was one highlight to the otherwise dismal night. That would be one half of our favorite ice dance duos reactions during the game. Camera's caught Scott Moir standing up in the crowd, beer in hand, hands up in frustration, yelling "ARE YOU KIDDING ME!". To which the announcer can be heard saying, "Scott Moir doesn't like it either". The clip quickly found it's way on to reddit, and the reactions to Scott are seriously priceless. 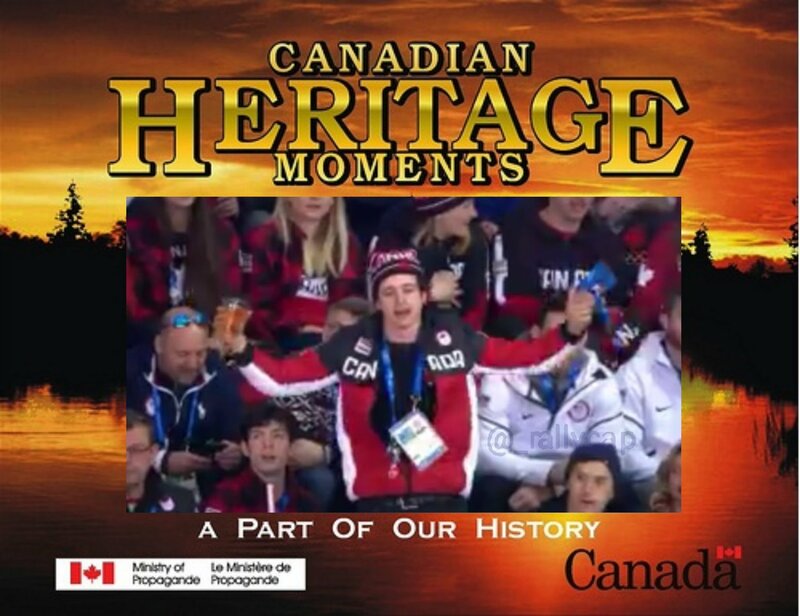 Comment from discussion My boy Scott Moir..
And finally one Scott fan took a moment to memorialize the night by turning him into a Canadian Heritage Minute. So while the game was disappointing, nothing about Scott Moir and his reactions that night were.